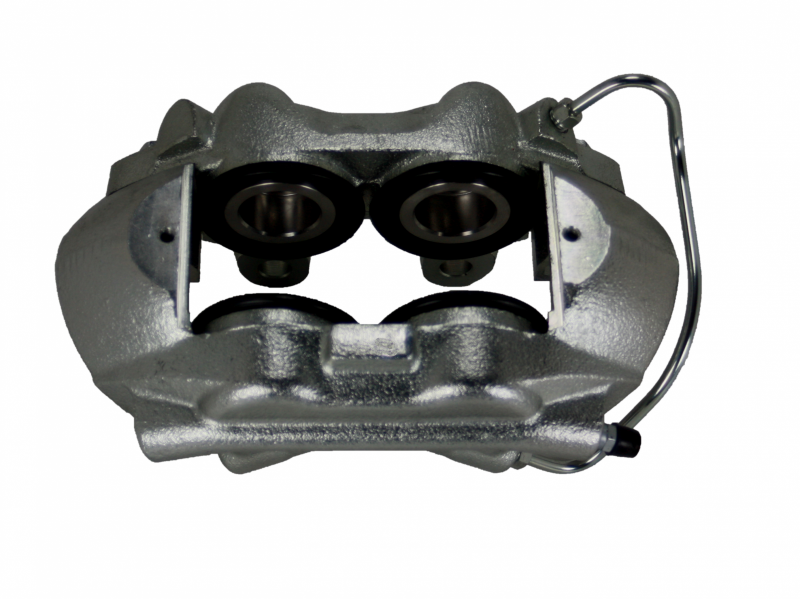 New 4 piston caliper with semi-metallic brake pads fully assembled ready to install. 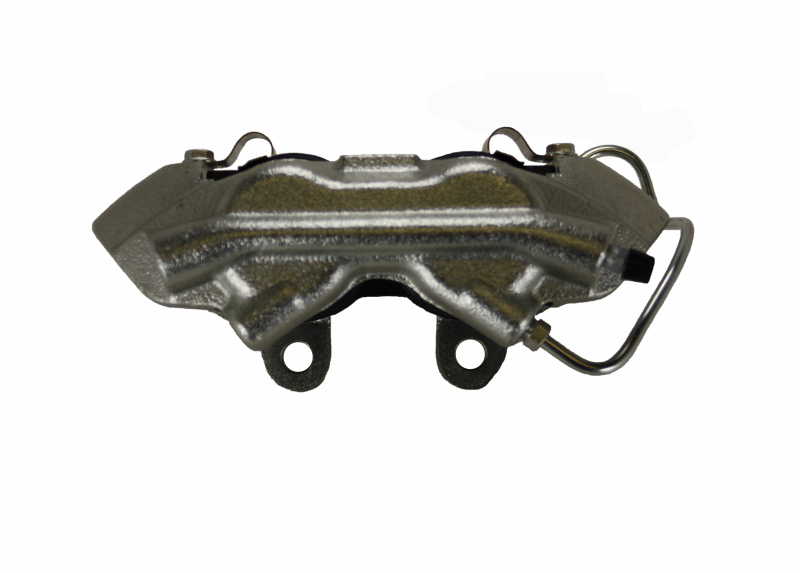 Machined with 3/8" inlets, this caliper is a direct replacement for your factory caliper or aftermarket disc brake caliper. 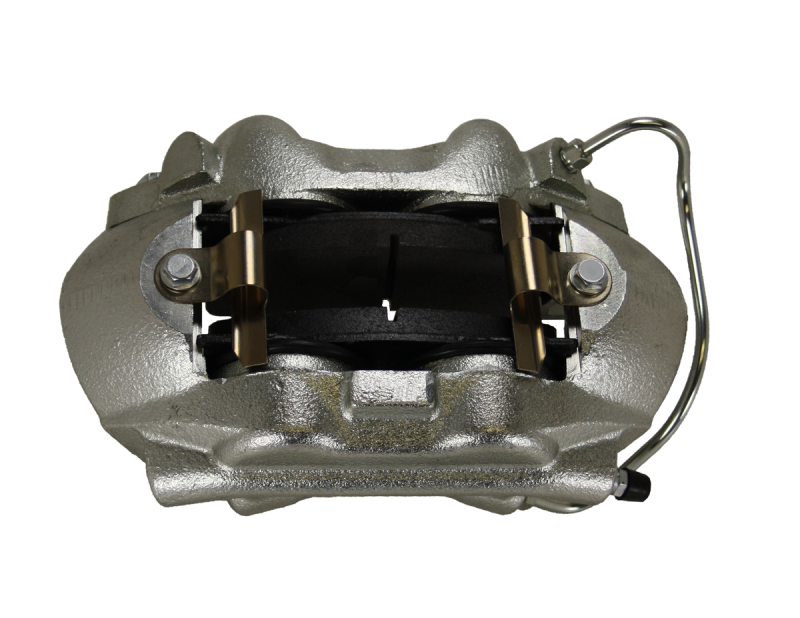 The Zinc Plated finish and Stainless Steel Pistons give this Ford Mustang brake caliper a great look that is built to last a lifetime. New 4 piston caliper with semi-metallic brake pads fully assembled ready to install. 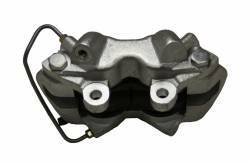 Machined with 3/8" inlets, this caliper is a direct replacement for your factory caliper or aftermarket disc brake caliper.